Potatoes unfortunately don't count towards your five-a-day vegie goal, but thankfully delicious sweet potatoes do. They're rich in vitamins and minerals, have a low GI and are high in carotenoids, which are great antioxidants. The most common variety of sweet potato is the orange skinned and flesh Beauregard, but there are also varieties available with red skin and white flesh (Northern Star) and white skin and purple flesh (often called Hawaiian Sunshine). If you have a warm sunny spot and a frost-free window of five months, you can grow your own sweet potatoes at home. Sweet potato plants are vigorous vines that will grow over the ground, with the edible tubers developing below ground. Sweet potatoes can be started from tubers, potted plants (available in garden centres) and also "slips", which are shoots taken from a sprouting sweet potato tuber. 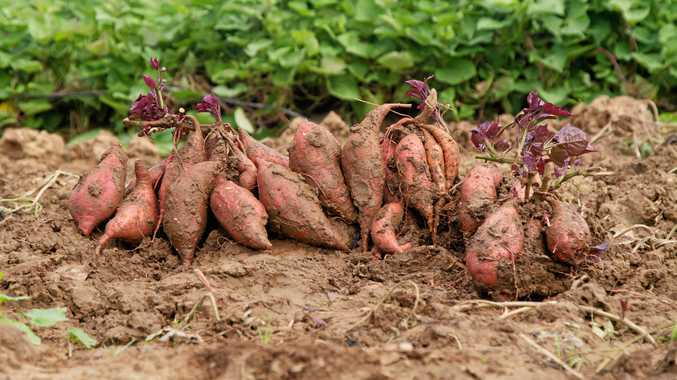 Prepare and enrich soil before planting sweet potatoes by digging in Dynamic Lifter. Apply again around the root zone every six weeks to encourage healthy leaf growth and development of tubers.